CELEBRATING 25 years as destination experts in the Australian market, Beyond Travel have expanded its Greece product, offering more small ship cruises, private tours and independent product- all showcased in the recently released 2019 Croatia and Beyond brochure. 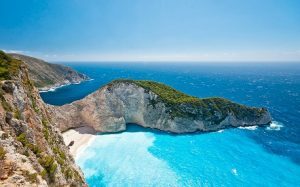 In addition to the hugely popular island hopping in the Cyclades in Greece, introduced this year are the lesser known Ionian Islands, which are increasingly being requested by clients says general manager, sales and marketing, Bryce Crampton. He commented, “Australians historically have a great love affair with Greece, especially the Greek Islands. However, more clients are seeking a different experience away from the more traditional destinations and seeking out the next ”hot spot” which has emerged as the Ionian group of islands to the west of Athens”. 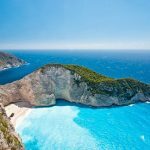 New for 2019 is the ‘Ionian Escape’ nine-day private tour, which features three nights on the spectacular Island of Zakynthos famous for “Ship Wreck Beach”. Priced from $2,195 the tour includes a mix of three and four star accommodation with breakfast daily, high speed ferry transfers, inter-island flights and transfers. Upgrade to 4-star hotels for the entire tour from only $260 per person extra. Along with the new Greek product the brochure also includes the new collection of Signature Journeys for 2019, including the 13-day cruise tour “Croatian & Slovenian Encounter: Dubrovnik to Venice with a eight day Dalmatian Island cruise on the MS New Star chartered exclusively for Beyond guests. Beyond Travel has continued its popular “Discover More” travel credits, which are available on a choice of tours, cruises, hotels up to $400 per couple to be used towards any additional services booked with Beyond Travel until December 31, 2018. There are also savings up to $1200 per couple on selected small ship cruises in Croatia and Greece.